Click Here to see Watercolor Homes for Sale! WaterColor offers stately beach cottages, a boathouse, tennis club, spa, shops, restaurants, and beach club, there are always plenty of “civilized” things to do. But with almost half of its 499 acres set aside for open space and preservation, WaterColor’s emphasis is clearly on the breathtaking natural environment that surrounds it. Hailed for its eco-friendly design and environmental stewardship, WaterColor is a shining example of how responsible development not only blends in with its surroundings, but enhances them. 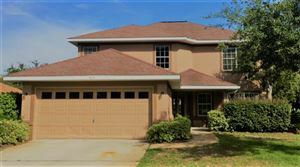 WalterColor offers a Lovely Community of Florida Cottage Style homes with Parks, Community Pool, Butter Fly Park - a better way of life for those who are looking for a eco-friendly home, vacation home or investment property.